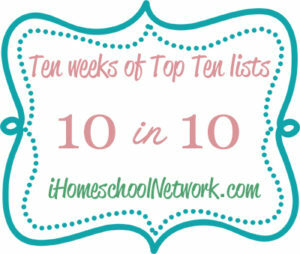 As part of the iHomeschool Network 10 in 10 Series, I’m sharing the top ten questions I get on a regular basis. Be warned! These are very random…no theme here today! 1) How do you save money with coupons? 2) Your husband is a veterinarian. You don’t need to do all this budgeting, saving money, clipping coupons stuff, do you? Although not always written this way, I get this question in various forms quite a bit, and I find it very interesting. First, it assumes that we make a large income. Second, it assumes when you make a large income, you don’t have to worry about money. If you’ve read much Dave Ramsey or have just been a keen observer, you know that no matter how much you make, you’re going to spend it if you don’t have a plan. I have found that to be true. Back when we had a very small income (I was working at a private school and helping to put John through veterinary school), we spent what we had. Now that we have more, we still spend what we have. I have found that if I don’t have a budget, we will overspend without even thinking about it. So yes, even though we are making more now, we still need a budget. I still need to use coupons and keep expenses low and watch where our money is going. We have some financial goals to achieve! Eventually, I’d like to get my husband a different truck (his is from 1982 — no air conditioning, no power anything, but it cost us a whopping $350!!). He’s been driving it for five years, but since we believe in paying for cars with cash, we’ve got to set aside money and save until we have enough. We also have a goal of paying off our house quickly. Because we have a budget, we can set aside extra money each month to pay more on the mortgage. If we weren’t keeping our expenses in line with our budget, we wouldn’t have the extra payments. Finally, we want to give more. We tithe to our church and give a little beyond that, but I’d love to someday be giving away half or even more our income. It’s not going to happen unless we are living below our means and on a budget. The crux of the matter is that the money isn’t mine anyway. I’m just a steward of what God has given me. No matter the amount — whether large or small — I’m still accountable for how it is used. 3) Can you make more printables and activity packs for preschoolers? 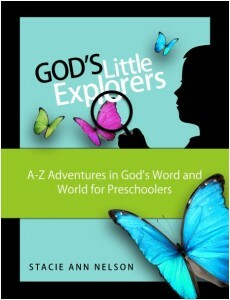 When I started The Amazing Mess (which is the Kids section of the blog now), it was aimed at preschoolers. My own personal preference is to allow preschoolers to learn by reading great books, playing, singing, and experiencing nature. I don’t like the idea of preschoolers doing tons of worksheets, so I’m not going to make those kinds of printables. With that said, please don’t think I’m judging those who do make preschool printables. Some of my friends make huge packs of them, and it’s fine! It just isn’t for me…and I don’t want to do it! 4) Why do you homeschool? I wrote a big, long post about why we homeschool a few months ago. I can’t do the question justice in just a few short sentences, so please check out Why Do You Homeschool: My Attempt to Answer the Question Without Offending Everyone Who Reads This Blog. 5) How do I start homeschooling? I’ve tackled this question in a separate post: Six Ways to Get Started with Homeschooling. 6) Since you homeschool, aren’t you afraid your kids aren’t learning what they need to know? I’ve never worried that my girls aren’t learning everything they need to know. That’s a given. All of us have gaps in our education — whether public, private, or homeschooled. My goal for my girls is that they would be excellent readers, able to think critically, and have a love for learning. If they achieve those goals, they should be able to learn whatever it is they need to know. 7) I might be suffering from Postpartum Depression. Do you have any advice? I know what it’s like to suffer through PPD. Although I’m not a doctor, I wrote a small series on my experience with postpartum depression and some of the helpful things I learned through it. 8) Why do you focus so much on fitness? A few months after my second daughter was born, I was walking with her strapped on me in a baby carrier. I was about 50 pounds heavier at the time, and I had this realization that with all the extra weight I had, it was like carrying around four of her all the time (she weighed about 12 pounds). No wonder I was tired!! After I realized that, I worked very hard to exercise and eat right to get down to my current weight. Unfortunately, this is still an area I struggle with. I have to find ways to keep myself motivated and accountable or I start stress-eating and other bad habits — and wind up regaining weight! Setting up goals and challenges for myself is one way I keep the upward scale movement from happening. 9) You seem so organized and creative. How do you do it all? This question makes me feel so bad when I get it. I don’t ever want anyone to think I’m doing it all — or even close to it! I try to include my failures on this blog as much as my successes. Of course, I don’t want to do that all the time or it could get a little depressing around here! The truth is I don’t do it all. I let lots of things go. 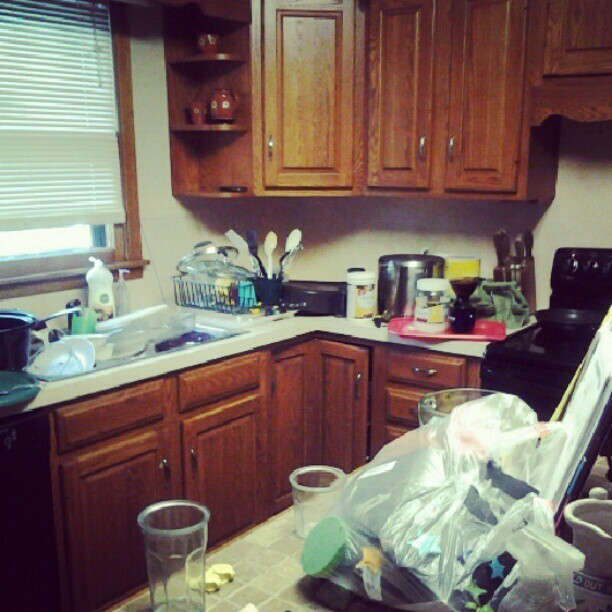 I’m a complete train wreck of a housekeeper some days (although I do try hard and have implemented systems to help me). I’m not a gourmet cook, and my meals are super simple. I’ve gotten rid of lots of stuff and simplified my life so I don’t have to spend as much time taking care of and fixing things! Also, my girls are a little bit older now, so they can help out. I would’ve never been able to blog when I had a baby or toddler at home. I just don’t have the temperament to make that work! The reality is that life is messy. I don’t have it together. And if you’re ever tempted to think I do, feel free to stop by my house. That will cure you in a hurry. 10) Do you make money from this blog? Don’t you feel guilty about that? I know when I started reading blogs, I had no idea people made money from them. When I started my activity blog for kids, I still had no idea people made money from blogs! Only once I started learning everything I could about blogging did I realize I could actually earn some money doing what I love to do — sharing ideas and activities and deals. I was even more flabbergasted when I realized some blogs earn five, six and even seven digit incomes! One of my goals is to always be open and honest with you (you can see what I said about honesty in affiliate links here). I do make some money, but I don’t feel guilty about it. I work hard on this blog and I think the worker is worth her wages (meager as they be)! You might not even realize it, but I spend about three to four hours per day on this blog. I also have to pay costs to maintain and host my website, pay a designer so it looks cute, pay for the coupon database, sponsor some giveaways, pay for advertising, and on and on…. So, if you choose to visit the site and print some coupons or take advantage of some of the deals, I thank you for supporting the site in that way. If this discussion makes you uncomfortable and you’d like to ask me more questions, feel free to email me! There they are…10 questions I’m asked on a regular basis. Did I answer yours?!! You can also write up and share your own if you have a blog over at Many Little Blessings! Check out the other iHomeschoolNetwork posts, too! I think it’s great that you’re able to make some money by doing something you enjoy doing, that also helps others! It’s rude that anyone would suggest that you should feel guilty about it. I love how you explained about your financial goals and wanting to give more! you’re a great example! I think you answered well and honestly! Way to go! I have been trying to learn how to get started with a real blog…not the family one I do now….Please give some pointers on where to start….thank you for your honesty and taking time to answer our questions….Oh and especially thank you for releasing my guilt about trying to do it all!! !